Did you ever want a fish? Here’s your chance! Aquaponics is a gravity based closed loop system that grows both food and fish. Fish live in water. Fish wastes provide nutrients for growing plants that water can wash to plant roots. Plants absorb fish waste breaking down toxic ammonia into nitrates and then into nitrogen. Nitrogen is an essential nutrient for plant development. If balanced correctly, the system grows both fish and plants for food! A ¼ acre aquaponics system producing edible plants and eatable fish could support one person indefinitely! Aquaponics uses far less water than regular agriculture. It uses nature’s fertilizers instead of chemicals. It saves on food transport costs. Aquaponics represents a sustainable and local source for sustaining food safety and cutting down food transport costs. Get some fish and grow some food! Once you have selected the fish you want to include in your system, it is time to research the plants you wish to grow and the medium in which you plan to grow them. What plants have the shortest growing season? Which plants have a medium growing season? What three mediums are commonly used? In all systems some type of pump pumps the water from the fish tank up into the growing medium. Gravity (or a sloped growing surface) pulls the water under the medium (rocks, nutrient corks, or soil. The system is considered a closed system. Wastewater is not discarded (like in fish farms) but is recycled through as a nutrient for growing plants. Only 1/10th of the water transpires and needs to be refilled. What plants will you grow in which medium? 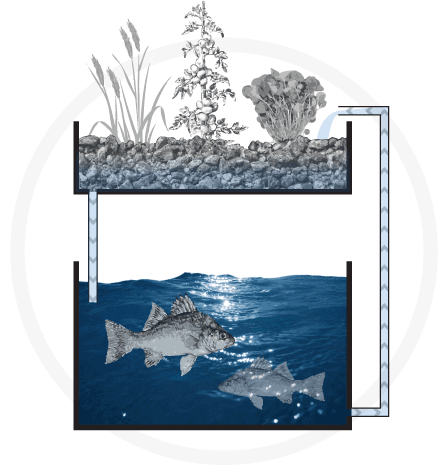 To set up an aquaponics system, you need fish and water and a tank. Exploring the links, you will find that three types of fish are most commonly used in aquaponic systems. Make a Venn diagram of the two fish types sold to be eaten comparing and contrasting information. Be sure to draw and label pictures of both species of fish. For instance, gold fish, used in one system can endure a great temperature range. Tilapia and perch, the other two fish most commonly used, both require heated water. 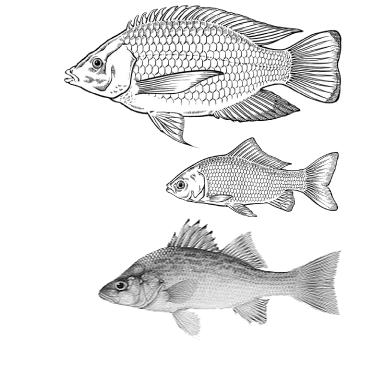 Compare growth seasons, fish height and length, and weight. Which fish will you choose and why? Research aquaponics in your community. See where aquaponics urban farms are successfully growing fish and plants. Arrange a visit to an aquaponics set up and take pictures of the operation. Talk with with people who have built it and are managing it. 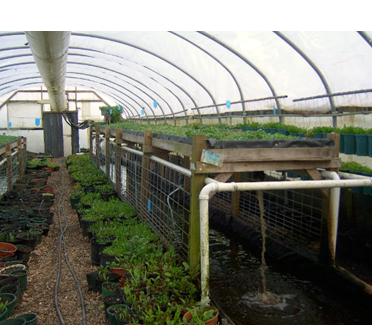 Use photos in a one page report on Aquaponics in your community. greenhouse or hoop house or indoor location with natural light. Present your alternatives to your class and community. 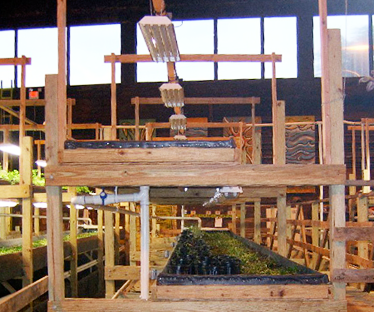 See if a demonstration Aquaponics system exists in your town. If not, see if you can get one started! Not accounting for water evaporation, aquaponics is considered a closed and balanced system. Fish cannot be sold as food when raised in an aquaponic system. What is one of nature’s fertilizer? 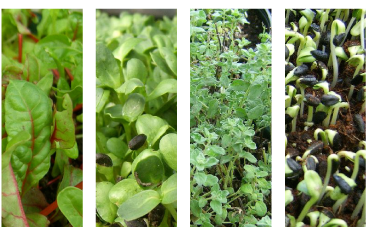 Plants filter and absorb _________in aquaponics.